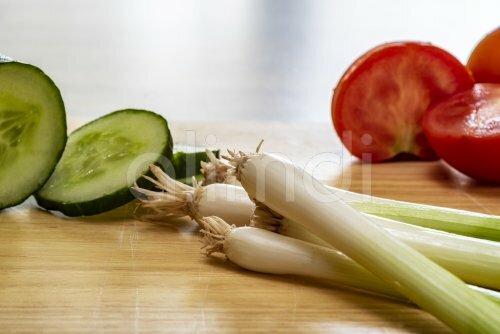 Sliced cucumber, tomato and spring onoins, , on a kitchen chopping board. Some salad ingredient? s.
or If you don't need an RF license, then request a quote for a RM usage.